Epileptic disorders are typically characterized by the synchronous spike-wave discharges (SWD). However, the mechanism of SWD is not well-understood in terms of its synchronous spatio-temporal features. In this paper, based on the coupled thalamocortical (TC) neural field models we first investigate the SWD complete synchronization (CS), lag synchronization (LS) and anticipated synchronization (AS) mainly using the adaptive delayed feedback (ADF) and active control (AC). Then we explore the dynamics of 3-compartment coupled TC motifs with the interactive connectivity patterns of ADF and AC, as well as the various interactive weights. It is found that CS, LS and AS of motifs can coexist and transit between each other by changing the various interactive modes and weights. These results provide the complementary synchronization effects and conditions for the basic 3-node motifs. 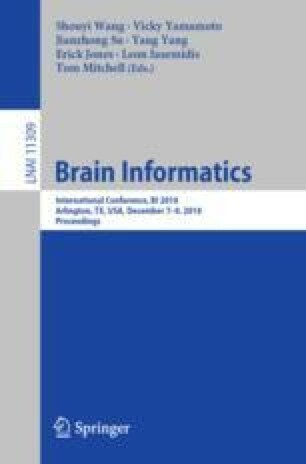 This may facilitate to construct the architecture based on patient EEG data and reveal the abnormal information expression of epileptic oscillatory network. DF is supported by the National Natural Science Foundation of China (Grant No. 11702018) and the Project funded by China Postdoctoral Science Foundation (Grant Nos. 2016M600037 and 2018T110043).